Anything that doesn’t fit in any of the other categories. About the time I started high school, my father was planning to attend his twenty-year class reunion, and my mother had two things to say about these affairs. First was that people go to them “to find out who got fat, who got bald, and who got divorced.” A rather cynical outlook, I thought. But as I’ve grown older, it makes more sense, and says a lot in a small number of words. The other thing was that “everybody just breaks off into the same little cliques that they were in during high school.” That seems natural to me, as we would want to first connect with those we spent the most time with. Regardless, I’ve been told that each reunion gets a bit less cliquey. At any rate, early this summer I received an invitation to the latest decennial gathering. I can recite a lot of really good reasons that I never go, most having something to do with cost and logistics of getting there and back. But in reality, I have to admit that a class reunion is not something that I get excited about. 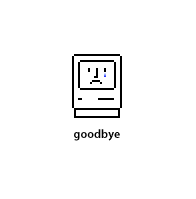 The news of Steve Jobs’ passing was delivered to me on the screen of my Apple computer. It’s kind of fitting, given the many ways that he has affected our day-to-day lives whether we use his products or not. He went on to discuss how these tools – once exclusively owned and operated by rich corporations and governments – were now accessible to ordinary people, and that this would cause the innovation and transformation that we’ve all witnessed since then. I put up a new banner image tonight. RoZ is sitting next to the Firehole River in Yellowstone National Park in an image captured exactly ten years ago (give or take a day). At this time in 2001, we were finishing a road trip of a lifetime through the western United States, and we would soon be preparing to spend two months in Europe. In the coming weeks and months, we will release a new project that will tell a much more complete story of this life-changing experience. Until then, the web site we published while we were in Europe is still online, but that will also be incorporated into this new project. Stay tuned. Twenty years ago this summer, in 1991, I was living in my step-van in Austin, Texas, slowly getting back onto my feet after leaving a commune I had been with for the previous thirteen years (yet another story that’ll be told in full, someday). Thirty years ago, in the summer of 1981, I was living in Isla Vista, California (the student ghetto of UC-Santa Barbara). I was essentially in exile from the commune, but I had my own bike, a PO box, food stamps, a place to keep my stuff, a cozy place to sleep in a secluded piece of an overgrown park, but no roof. Even though I was essentially homeless for about six months, I have fond memories of that summer. It helps that it never rained. But I also became part of a whole community of young hippies that populated the low-rent houses of the neighborhood, and together we participated in the Diablo Canyon blockade, one of the biggest anti-nuclear actions ever conducted. The summers of ’91 and ’81 could be considered traumatic life-changing events, but in retrospect they were memorable and enriching experiences. The summer of 1971 was spent recovering from physical trauma: a serious bicycle accident that had me in the hospital for a few days in June and licking my wounds for the rest of the summer. I don’t know what kind of life-changing event – if any – 2011 will bring. I’m willing for this year to be the one that breaks this decennial pattern, but if something big happens this summer, I hope it’s something good. Back in the dark days of semi-ancient history, victorious armies would kill the leader of an opposing nation or notorious band of villains, cut off his head and parade it around town at the end of a pike. It was a way to gloat and to taunt. Today, to put a “head on a pike” is a mostly a metaphorical term, but it can still be literal if only in a sanitized form. Such was the behavior of the Bush regime when it killed the Husseins of Iraq. Uday and Qusay (sp?) had their morbid mug shots published in newspapers around the world, and Saddam Hussein had video of his hanging leaked to the Internet. So when word came Sunday night that Osama bin Laden had been killed, we asked each other how long it would be before we saw pictures of dead Osama on the Internet, and the answer was, “tomorrow morning.” A very large segment of the American population is glad to know bin Laden’s dead, but they wouldn’t believe it until they saw his head on a pike, and the Internet picture of the bloodied skull is the head on the pike of the twenty-first century. Word came out that such pictures exist, and that they are “gruesome”. But today it was announced that these pictures will NOT be made public. We have enough gruesome images polluting our collective mind, we don’t need a bloodied skull of Osama bin Laden to become an iconic image for a generation. I want to believe we’re classier people than that. What to Wear for a Judge’s Funeral? Do we dress for a funeral? Or do we dress for court? There’s a movement to boycott BP because of the way they f’d up the Gulf of Mexico… just as Exxon f’d up the shore of Alaska in 1989, and Pemex f’d up the Gulf in 1979, and Unocal f’d up the Santa Barbara coast in 1969, and on and on. The lyrics are after the jump.